Hearts for Hearts was a fundraiser held at the Kitchener Market that raised over $650 in funds for the Grand River Hospital Foundation and future events held by Integrated Marketing Communications students at Conestoga College. 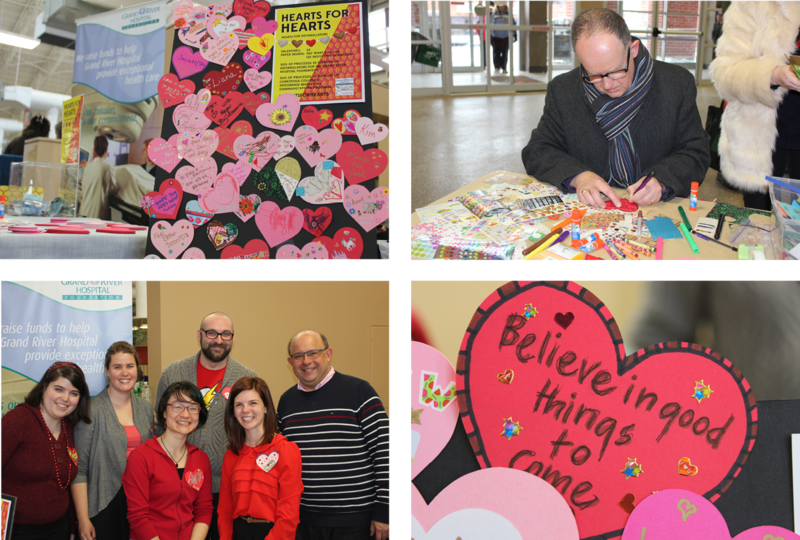 We designed and sold valentines cards, and had market goers decorate valentines that were used to decorate a bulletin board at Grand River Hospital. My team planned and executed Hearts for Hearts in under three weeks. We’re particularly proud of the successful social media campaign we led on Twitter (#HeartsforHearts), through which we engaged many community influencers, including @CityKitchener, @DTKitchener, and @KWAwesome, as well as Kitchener’s Mayor Berry Vrbanovic (@berryonline) who made an appearance at our event. I designed the posters used for the event, as well header images for Facebook (pictured above) and Twitter. My colleague Nina designed the super hero Valentine cards (also pictured above). 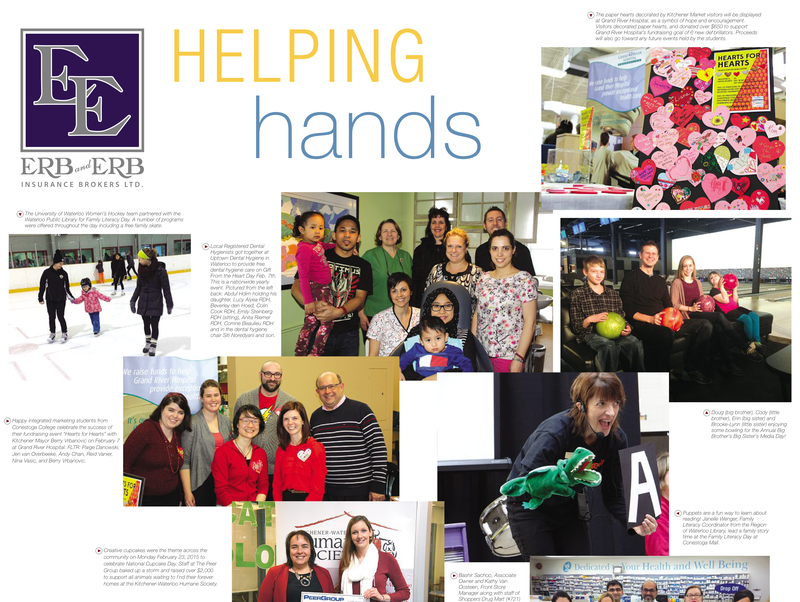 Our successful media relations strategy, lead by Andy, resulted in our event being featured in The Record’s February “Helping Hands” spread.